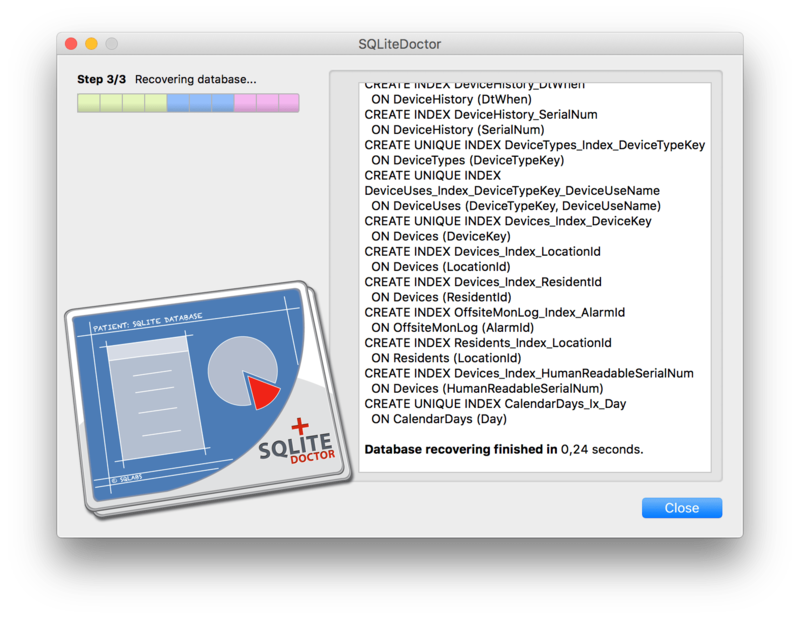 To start just select the sqlite database to recover and the output database file. You can optionally set an encryption key if the damaged database is encrypted. 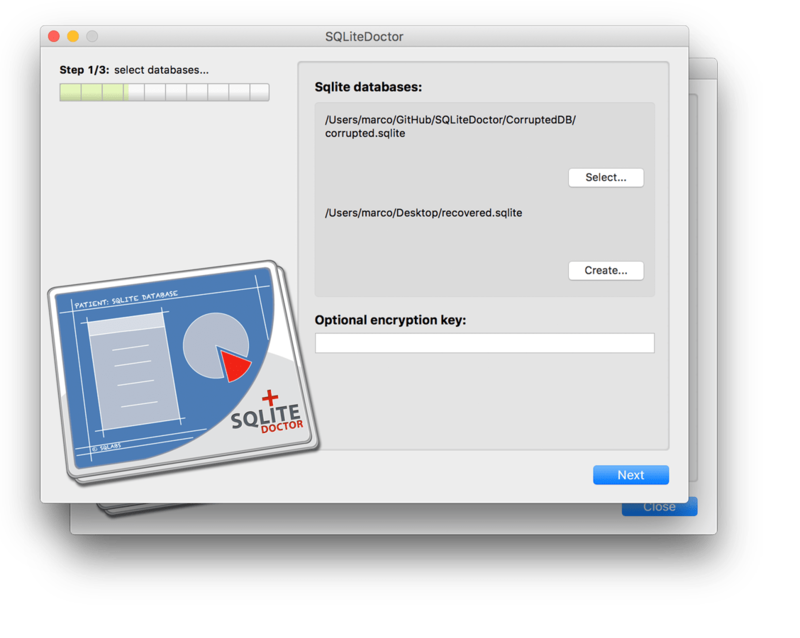 SQLiteDoctor supports all standard SEE sqlite encryptions: AES128, AES192 and AES256. 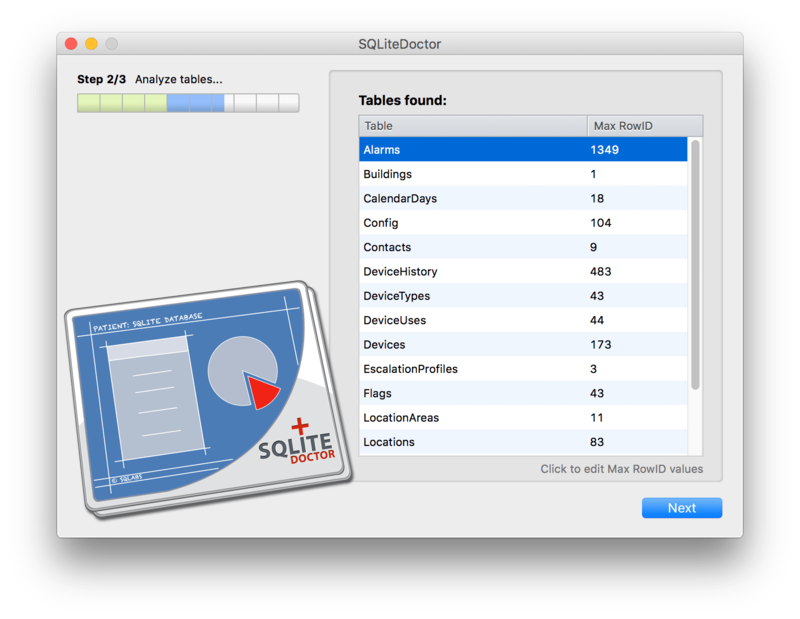 More information at the official SEE sqlite site. Database is scanned in order to find out all the tables and all the rowid values. If maximum RowID value for a specific table cannot be found then a N/A value is used, you can manually set that value to a numeric value higher than the maximum rowid value you know it is used in that database for that table (if no value is entered than a default 100000 value is used). Once recovery has started a detailed log output is produced in order to keep you informed about the currently performed step. In case of unrecoverable errors, a red message is displayed (with a total error count label).